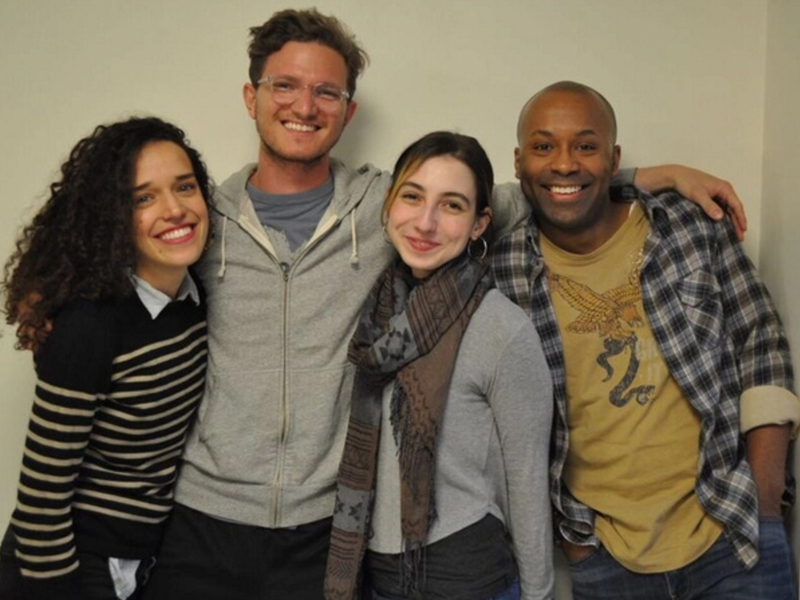 The cast of “Lost/Not Found” (L-R): Mariette Strauss, Max Lebow, Jamie Saunders, Devin E. Haqq (not pictured: Andrew Manning). Broadway World has a sneak peek of the cast here. Stage Buddy has an event page all lined up. LOST/NOT FOUND by Kirby Fields, directed by Alex Keegan, opens Wednesday, May 3 at 8:00PM at The Garret at Fort Washington Collegiate.